AMBER ALERT CANCELED … Ariel Revello Found Safe!!! Earlier today an Amber Alert has been issued for 7 year old Ariel Revello of Trumbull, Connecticut. Police say 43-year-old Rodolfo Revello assaulted his estranged wife with a knife before fleeing with the child around 4:30 a.m. Saturday. The woman was treated at a hospital and released. Saturday night police confirmed that Revello had been found safe in Queens, New York. Trumbull police say Rodolfo Revello, the boy’s father called them around 5 p.m. Saturday and said he was leaving Ariel with a relative. Rodolfo Revello is still at large and police intend to issue a warrant for his arrest on multiple charges. 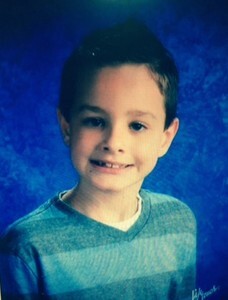 Ariel Revello, 7, is a Hispanic male, 7 years old, with brown hair and brown eyes. he is approximately 4’8″ and weighs 75 pounds. 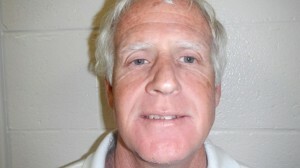 He was last seen wearing gray and blue pajamas, a gray sweatshirt, an olive green puffy jacket, and blue croc shoes. The suspect, Rodolfo Revello, is a Hispanic male about 43 years old, bald and with brown eyes. He is about 5’9″ tall and weighs about 190 pounds. He may be armed. The vehicle was identified as a white Ford Transit van, with Connecticut license plate C040379. Connecticut police say a 7-year-old who they allege was abducted by his father after an early morning domestic assault has been found safe. Trumball police say an Amber Alert for Ariel Revello was canceled Saturday evening. Authorities didn’t make clear where the boy was found. They say they are still searching for his father, 43-year-old Rodolfo Revello, who may have been headed for the Bronx in New York City. 8 year old Everett Streko has been missing since Thursday, July 16, 2015 from Green Brook, New Jersey in Somerset County. Authorities stated that Everett Streko was last seen by his grandmother, his legal guardian, at 10:30 p.m. on Thursday at her home on Kings Court in Green Brook Township. It is believed that the missing boy has been taken by his biological parents, Michael and Amy Streko. 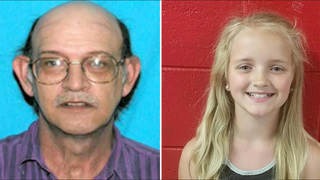 Everett is described as 4 foot tall, weighing approximately 60 pounds, with Green eyes, Brown hair, Fair skin. Authorities are searching for a young boy who police say was illegally taken from his legal guardian by his biological parents. The New Jersey State Police Missing Persons Unit and local authorities are looking for Everett Streko, an 8-year-old boy described as being 4-foot tall and weighing approximately 60 pounds, the Somerset County Prosecutor’s Office said Saturday morning. He has green eyes, brown hair and fair skin, they said. Michael and Amy Streko, Everett’s biological parents, are in violation of a court order and are wanted on a charge of child interference, authorities said. Everett was last seen by his grandmother/legal guardian at 10:30 p.m. Thursday at her residence located on Kings Court in Green Brook, authorities said. Friday morning, the grandmother noticed that her daughter-in-law Amy Streko, 32, who is Everett’s biological mother and was also living at the residence, was missing along with Everett and all of the child’s personal belongings, authorities said. She’s driving a gray, four-door 2007 Ford Focus with NJ registration Y96-FHN, authorities said. 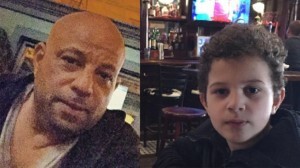 If anyone has any information regarding the whereabouts of Michael and Amy Streko and their son, Everett, or anyone who may have observed their vehicles can contact the Somerset County Prosecutor’s Major Crime Unit at 908-231-7100, Green Brook police 732-968-1188 or the Somerset County Crime Stoppers’ Tip Line at 1-888-577-8477. 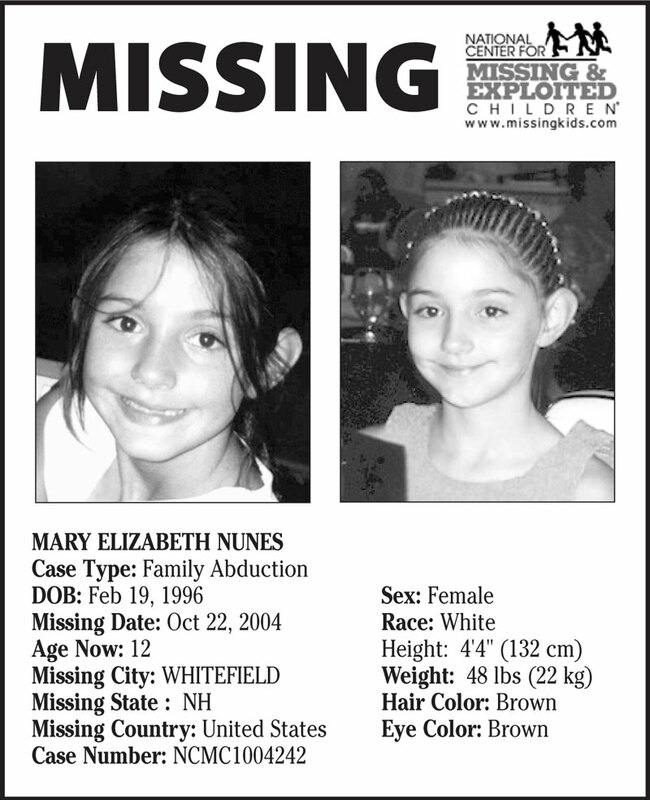 Mary Nunes has been missing since November 2004 in New Hampshire when at the age of 8 years old, she was kidnapped and taken to Costa Rica by her step father Scott Kelley and mother amid a custody dispute in 1996. The girls mother claimed she did so because the father, who had full custody was abusive. However, the authorities never believed those claims and never filed any charges against the missing girls father. 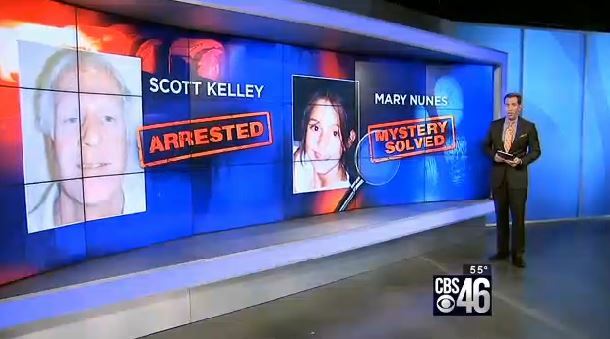 Mary Nunes had been missing more than a decade when authorities got a tip that Scott Kelly and Mary Nunes were attempting to gain passports to return to the United States. The authorities allowed them both to be issued temporary passports and when they arrives to the United States. 50 year old Scott Kelly was arrested at Hartsfield-Jackson Atlanta International Airport in Atlanta, Georgia by US Marshall’s last Wednesday at 2PM. Kelly is currently in custody at a Clayton County jail and awaiting to be extradited to New Hampshire where he will face kidnapping charges of an 8 year old girl. Mary Nunes’ mother, Genevieve Kelley, had previously returned to the US in 2014 and turned herself in to the authorities. Genevieve Kelley remains on track for a May 8 trial after Judge Peter Bornstein on March 24 denied a motion to dismiss the state’s charge of custodial interference pending in Coos County. According to a spokesperson with the U.S. Marshals, 50-year-old Scott Kelly has been wanted in New Hampshire since November 2004 when he was accused of the non-custodial kidnapping of Mary Nunes, who was 8-years-old at the time. Police say that on April 13, Kelly and Nunes, now 19, went to the U.S. Consulate in Costa Rica to request passports to return the U.S. It was at this time that police say they discovered the warrant for Kelly and realized Nunes was reported missing. Police say a temporary passport was issued for both Kelly and Nunes and they were allowed to return to the U.S. When they arrived at Hartsfield-Jackson Atlanta International Airport around 1:40 p.m. Wednesday, police say Kelly was immediately arrested. Step-dad arrested for aiding mom in girl’s 11-year custody flight. When they arrived in Atlanta on Wednesday, U.S. Marshals were waiting, and arrested Kelley. 4 month of Khalieyah Pitts and her 24 year old mother, Tabitha Rantanen, have been missing since Tuesday, February 17, 2015 in Portsmouth, New Hampshire. 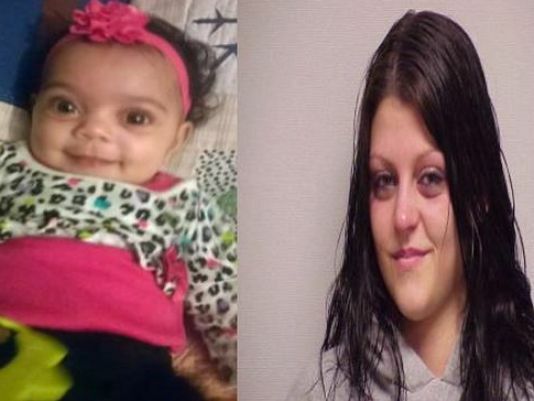 Portsmouth police have been searching for the 4 month old and the tot-mom following a court order was issued by the Portsmouth Family Court for the state to take custody of the child, Khalieyah Pitts. NH DCYF was granted emergency custody of the infant at Rochester District Court on Feb. 13. According to authorities, the 24 year old mother has no known address in the New Hampshire Sea cost area. Tabitha Rantanen also has mental health and active substance abuse issues. Portsmouth police Capt. Mike Schwartz stated that the mother, Tabitha Rantanen, was aware of the court order and fled with the baby. Schwartz said the baby was not in anyone else’s care and was not abducted. The police believe that Tabitha Rantanen is no longer in New Hampshire. 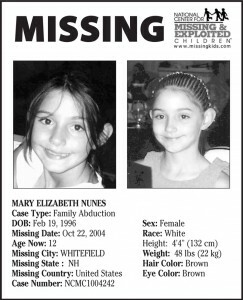 It is believed that she may be in Greenfield, MA, as she has family in the area. A felony warrant has been issued for Tabitha’s arrest on a charge of interference with custody. Rantanen is described as being 5’2 and about 120 pounds with brown hair and hazel eyes. Police said 4-month-old Khalieyah Pitts and her 24-year-old mother, Tabitha Rantanen, who may be going by “Tabi Pitts,” have been missing since Tuesday. On Tuesday, a court ordered Rantanen to surrender custody of her daughter. Police said once she became aware of the order, she fled New Hampshire with Khalieya. Police said they may be near Greenfield, Massachusetts. Family members expressed concern about Rantanen’s mental condition and substance abuse. UPDATE I: NH & MA Police search for missing 4 month old girl. Police in New Hampshire and Massachusetts are working together to search for a “mentally unstable” mother who took her daughter. Sgt. Dan McCarthy informed 22News that the Greenfield Police Department is assisting the Portsmouth NH Police Department search for 4 month old Khalieyah Pitts. The New Hampshire Child Protective Services was granted emergency custody of Khalieyah by court order on February 13th. Sgt. McCarthy said the mother, 24-year-old Tabitha “Tabi” Rantanen, took Khalieyah and fled the state. She was last known to be in Greenfield where she has family. Anyone with information is asked to call Greenfield Police at (413) 773-5411, Seacoast Crime Stoppers at (603) 431-1199 or Portsmouth Police at (603) 610-7649.